Line large, rimmed cookie sheet with waxed paper. In large microwavable bowl, add cereal. In small microwavable bowl, microwave white chocolate baking chips uncovered on Medium (50%) 1 to 2 minutes, stirring after 1 minute, until melted and smooth. Transfer to small resealable food-storage plastic bag; cut off small corner of bag. 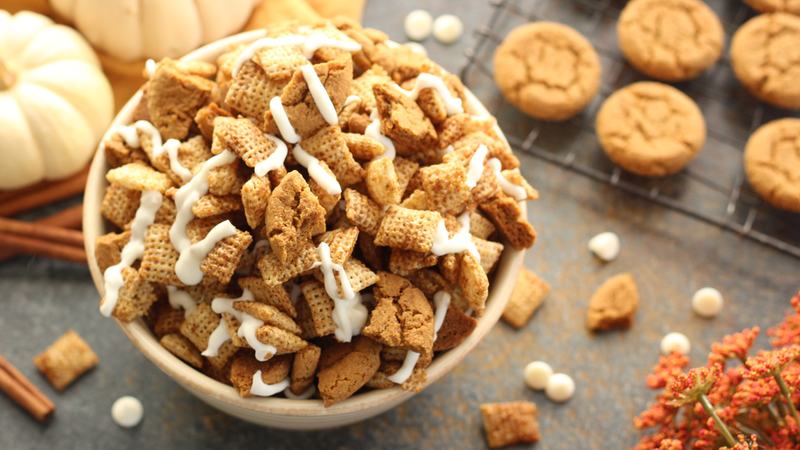 Drizzle onto cereal mixture. Refrigerate about 15 minutes or until drizzle is set.